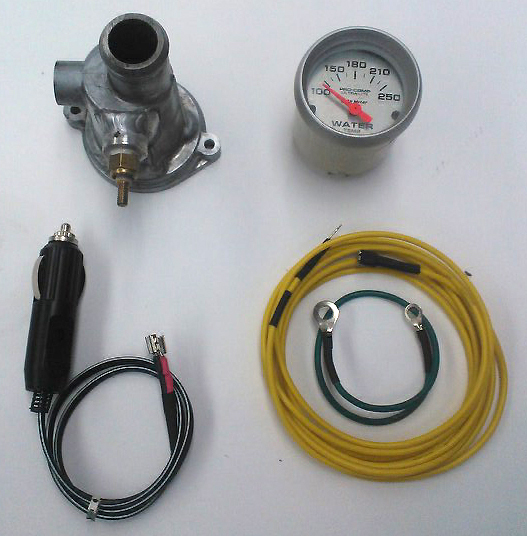 Towerworks Motorsports has a new temperature gauge kit. Comprising of a thermostat housing with sensor. One wire to be feed thru to the front panel. Start with mounting the gage. Auto Meter, in an easy spot. Using our prewired power outlet connect up. Once you have established temperature range, mount the gage properly or remove it.